Camino de Los Arrieros Camino -The Arrieros Way- is the name of a route that follows the border between north Spain and Portugal, it is a reserve natural park, when the river Duero in Spain becomes Douro in Portugal. The vineyards are located in Villadepera town, north of the DO Arribes, but doesn’t belong to this appellation. 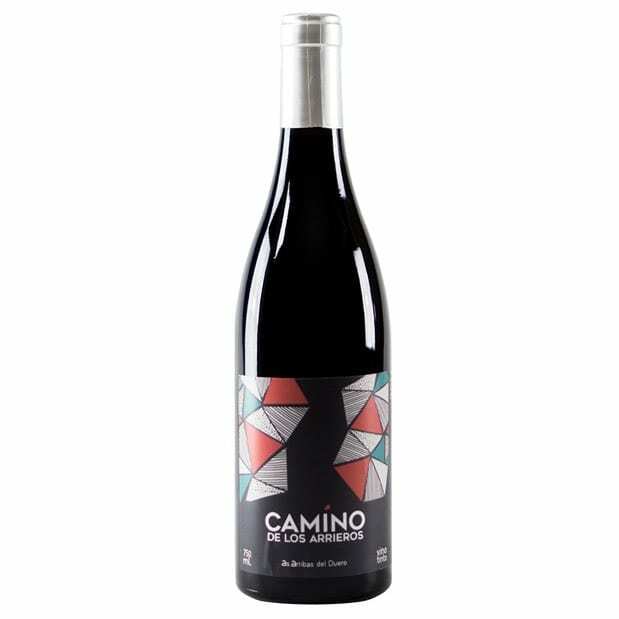 Made with local red varieties Juan Garcia 40% and the rest Rufete, Alfrocheiro, Alicante Buschet (Garnacha Tintorera), Mencia and 5% of white (Doña Blanca and Puesta en Cruz). Soil in this specific area is origin Volcanic and schist. Organic farming and made in a natural way in the winery; spontaneous fermentation with indigenous yeast in 300/500L old barrel then left in there for 6 months. Unfiltered, unclarified and a bit of sulphites before bottling. Production of 4000 bottles.